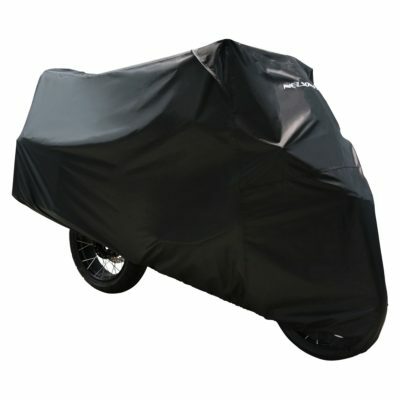 You want to protect your bike while on the road, but you just don’t have the room to take a full size cover with you. 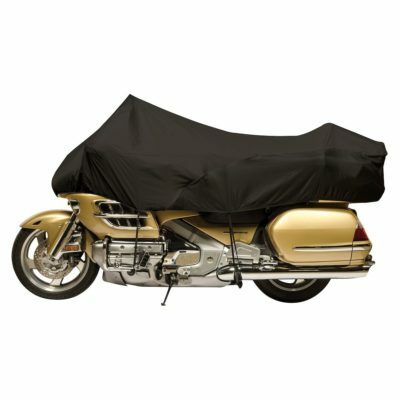 The lightweight Guardian Traveler cover protects the essential parts of the motorcycle and folds compactly for storage. Made of lightweight, but durable, urethane-coated polyester, the covers are water repellant and quick drying. 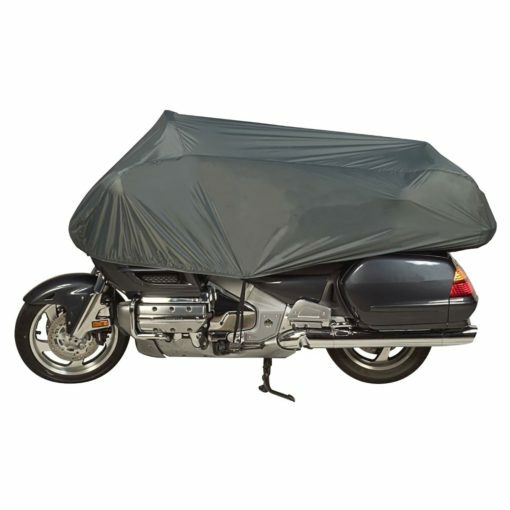 These covers will enclose the fairings, seat and rear trunk. 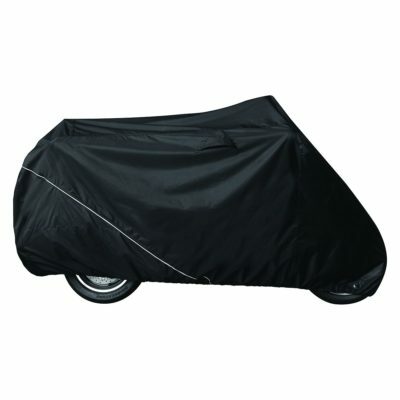 Includes a shock cord hem and foot peg straps. Note: Sizes listed in Size Chart are for stock motorcycles without additions such as panniers, windshields, high handlebars or sissy bars. Addition of those options will typically require a jump of one to two sizes.